This is the first book in a series of time traveling adventures. Three Gatsby siblings, the youngest in the 6th grade, are targets of some pretty extreme bullying at school. As a retired teacher, it horrifies me that anything so obvious could be happening but I’m sure it does somewhere. The three kids stick together but seem to be resigned to the horrific treatment they receive from older violent students. However, they show great courage, pluck, and ingenuity when they travel back in time. The author has come up with a unique way of having a having the kids go back to the 13th century. 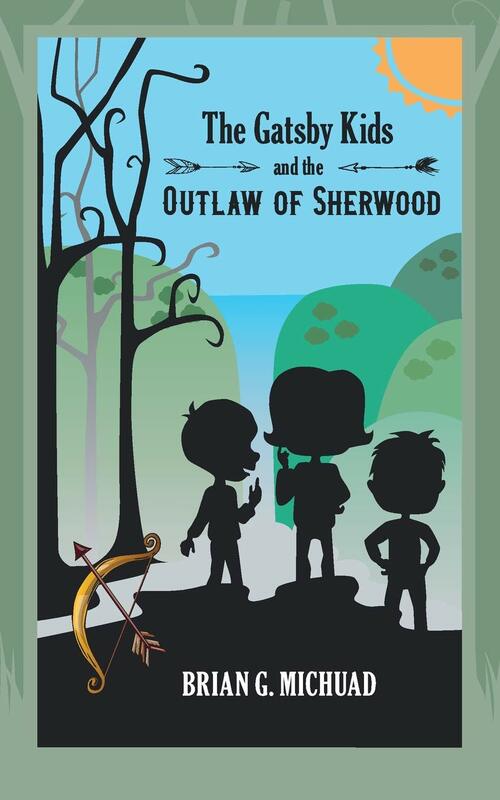 Here they must rescue Robin Hood before he has joined the merry-men. The story is fairly gentle and without gore. It suits children aged seven and up although some might find the vocabulary bit of a struggle. The story comes to a conclusion but the school bullying is not resolved. I suspect there will be more time travel and this will help the children overcome the challenges at school. The best part of this book and the most enjoyable is the humor. The children are hilarious, especially the youngest. Kids will laugh out loud at their banter and behavior. 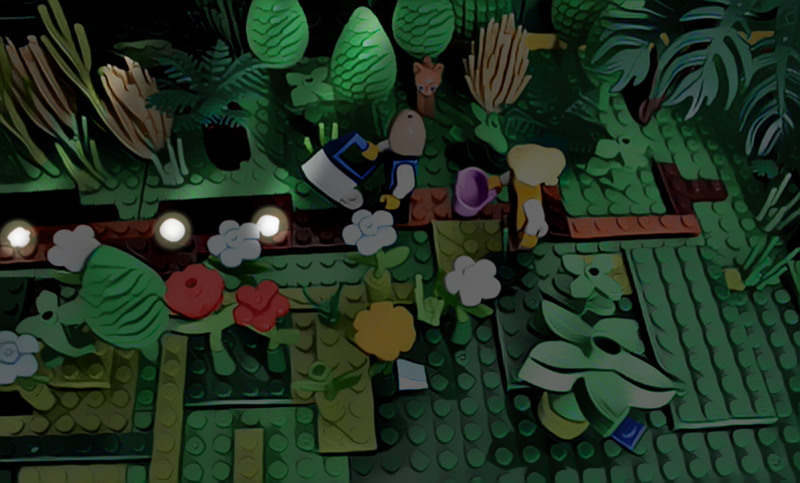 Does your child love Lego movies? Be sure to check out my latest. 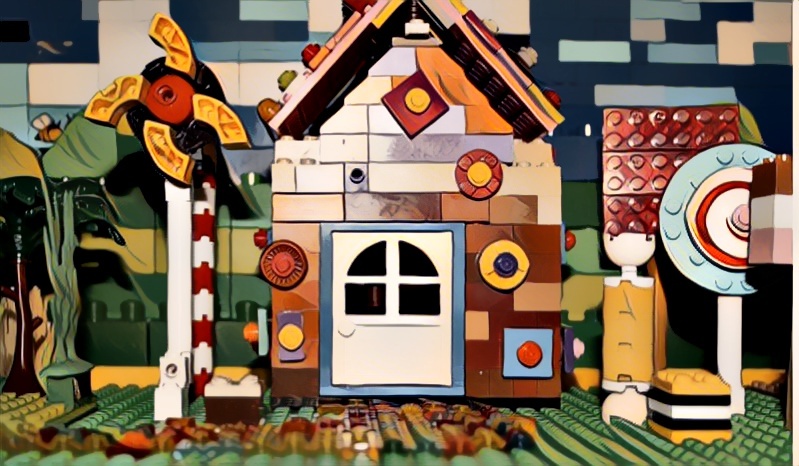 Check out the nine other Lego videos as well. 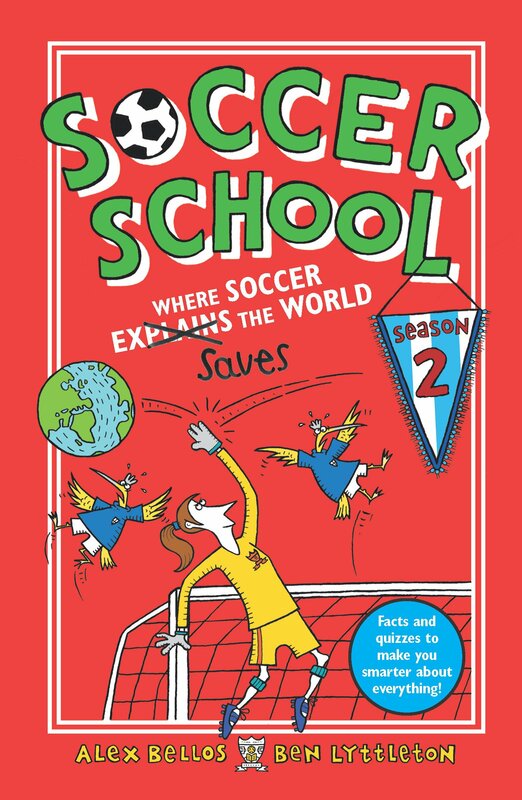 Soccer School – Where Soccer Saves the World Season 2 by Alex Bellos and Ben Lyttleton. Book Review. This unusual book explains the science, and more, behind soccer. It covers such topics as why the soccer ball is round, how to have healthy grass for the soccer field, languages around the world, and filming the event. There is a class schedule at the beginning that lists such subjects pertaining to soccer as biology, math, art, religious studies, psychology, business studies, and engineering. How the authors connect all of these topics to soccer is impressive and interesting. Just in case your child resists reading an educational book disguised as entertainment, the authors have extensively discussed vomit and urine as it relates to soccer. You will learn more than you expect. Although there is a fair bit of humor interjected into the content, it is extensively well researched and written. Each chapter ends with a quiz of five or six multiple choice questions. The level of knowledge is quite high. The answers are in the back of the book. The lawn mower was a spinoff of an invention to cut off the tufty bits of cloth from soldiers uniforms. Some languages have original words that exist nowhere else. For example in the Philippines they have a word for taking a bath with your clothes on. In India and Bangladesh they have a word for the sound, sight, or motion of a big person’s buttocks rubbing together as they walk. Since cameras broadcasting a soccer game are scattered in and around the field, they receive different lighting and so must be color adjusted to match each other. The book also contains helpful information on meeting personal goals and motivation. It’s quite amazing how much has been packed into this 198 page book. Although the vocabulary is quite rich and some of the concepts are a bit challenging, I think kids aged eight and up who enjoy trivia, science, and soccer will love this book. More than a few adults we’ll find something interesting here as well. Petscapade (Mystery Book Club 1) by Nadishka Aloysius. Book Review. 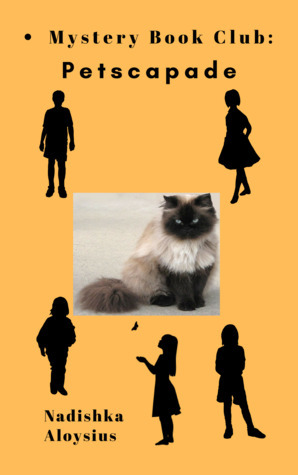 Petscapade is the story of four girls and a boy, 9 years old, who form a mystery book club. When a purebred kitten goes missing they decide to use their knowledge to solve the mystery of whether the cat has wandered off or been stolen. The novel starts out quite slowly and the reader needs to show patience as this is a gently paced book. The cover fails to inform or interest the reader. About a quarter of the way through the novel I discovered it was taking place in Sri Lanka. I’m not sure if I missed that indicator earlier on. It’s important to realize this as the way that children speak is unusually articulate and adult for 9 year olds. “Yes, it is rather,” agreed Lal, with a grin. There are several cultural behaviors that may strike North Americans as unusual if they are not aware of the context. For example, the children are not allowed to bring fiction books to school to read and their social interactions are strictly controlled. Once the reader realizes the environment, it becomes quite intriguing to learn new customs and terms. The story is told in a straightforward manner with little emotion. However, There are moments of humor. The author doesn’t shy away from controversial viewpoints.I think this book should launch some interesting discussions about our abysmal treatment of animals such as supporting pet stores, eating meat, and abandoning pets. I’m not sure political remarks belong in a book for 9 year olds though. “And she is Tamil…” Amal broke off. There is one beautiful paragraph that will give food for thought. The case of the missing cat, which turns out to be cats actually, is resolved positively even though the children are discouraged and sometimes condemned for their actions in trying to locate the missing kitten. The lesson of perseverance is worthwhile. Mich and Moose Adventures by Vince Cleghorne. Book Review. This 8 by 10 picture book is a humorous take on problem solving and helping others. 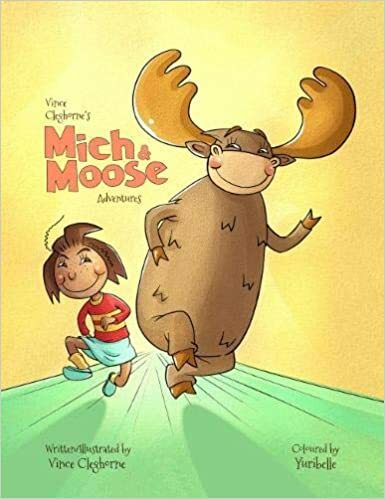 Mich is a girl and Moose is, well, a moose. They are best friends and love snowy days. At the beginning of the book they show us all the wonderful ways they enjoy winter snow. Note: the child is not dressed for winter. As a northerner, I snorted at the picture of her with bare legs and no coat or hat making a snow angel. Point out to children that this is not reality and they do have to dress for the weather. Anyway, Moose and Mich find someone who is not enjoying winter at all. Spinner the spider is unable to stick her web anywhere because everything is icy. Mich and Moose try to attach it to a dozen places, each more zany and imaginative than the last. At this point the author changed the writing style to rhyme. At first I thought this wasn’t necessary but on subsequent reads I realized it adds a sense of fun and adventure to the quest even though some rhymes are a bit of a stretch. At the end, they find the perfect spot for the web. This book is a fun journey into silliness but can also be used as a jumping off point to learn about spiders. Where are spiders in the winter? Why don’t children see their webs anywhere? The illustrations are cheerful and expressive. Some will make children laugh out loud. If you have a reluctant reader who has a taste for silliness, this is a book that will grab their attention. These were my favorite books I reviewed in 2018. 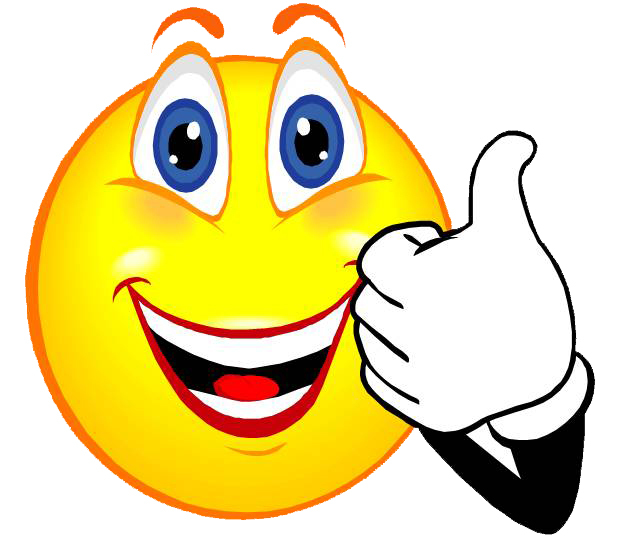 Click on the titles to go to the complete review. When by Daniel H. Pink. It will give you insights into time that you never considered and strategies that will make your days more successful. The Sherrif’s Catch by James Valla-Bardon. The Sassana Stone Pentalogy. This is a robust and gruesome tale of a Spanish soldier, Abel de Santiago, a gifted sharpshooter, seeking revenge for the murder of his wife. Anything and everything horrible that can happen to this man, does. Laura Monster Crusher by Wesley King. This will be a favorite with readers who love fantasy and unusual female heroes. Bloom – A Story of Fashion Designer Elsa Schiaparelli by Kyo Maclear and Julie Morstad. ​This is a 8X10 picture book that tells the story of a fascinating and unique individual, Elsa Schiaparelli. It begins in early childhood where we learned that Elsa was a disappointment to her parents because they wanted a boy and she wasn’t as pretty as her sister. This compelled Elsa her to examine the concept of beauty. Davy’s Pirate Ship Adventure by Danual Berkley. Illustrated by Amariah Rauscher. I knew I’d like this author the moment I read the dedication. Simple words with a powerful, important message. Backyard Fairies by Phoebe Wahl. This is a delightful picture book for the imaginative child. There are only a few words on each page; the detailed and intriguing gardens filled with secretive hidden fairies dominate. Duck, Duck, Moose by Joy Heyer. This is a delightful picture book about missing a friend.My granddaughter found this book very engaging and loved the humorous bits as well as the emotional moments. Highly recommended. Kameko and the Monkey-king by Melissa Addey and Claire Loescher. Book Review. Kameko is told by the Buddha statue that in order to cure her seriously ill mother she must obtain the jewel from the Monkey-king’s crown. 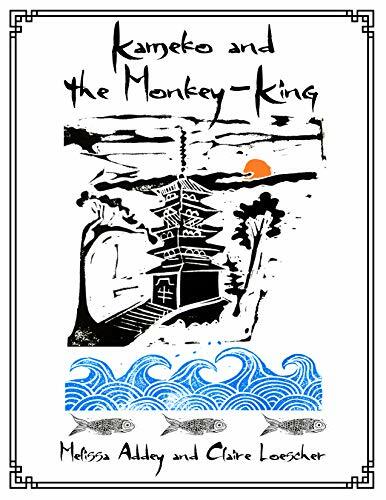 On her way to The Monkey-king’s Kingdom she meets and befriends several characters. They warn her not to drink, eat, or sleep in The Monkey-king’s Palace or she will wake up a monkey herself. She pretends to go to sleep but creeps in and steals The Monkey-king’s jewel. He pursues. In spite of being helped by her new friends, the monkey regains the jewel. Kameko returns home heartbroken but the magic from the jewel has saturated her hands and her touch cures her mother. She grows up to be a renowned doctor and healer. The story has a lyrical quality as though it is being told by an oral Storyteller of old. The print illustrations suit the story line perfectly. The illustrations seem simple at first glance but are actually quite complex for lino cuts. They are black and white with touches of red giving it an historic Japanese flavor. Kameko’s interactions with the people she meets are positive especially when she takes time from her trip to help an elderly woman gather wood. However, as a Buddhist myself, I find the fact that her only strategy was to steal disappointing. I’m not sure if this is based on a traditional story or original, but to be cross-culturally relevant I think it needs to be updated. The Monkey-king has a right to be enraged. We have no proof that he is actually going to bring harm to Kameko and, even so, Kameko goes there by choice. I had hoped she would use her wits to gamble and win the stone or win a challenge from the Monkey-king. Simply stealing it in the night does not comply with true Buddhist ethics. Neither would I want a child to go away with the idea and stealing is the first and best response. The Gate Guardian’s Daughter by K.T. Munson. Book Review. This prequel to a young adult fantasy series will give you a good idea if the novels would be to your liking. The main character is intriguing and charming. 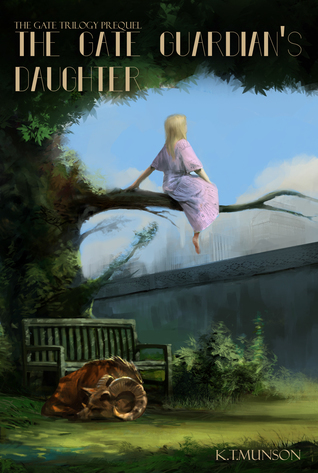 Elisabeth is a mysterious creature about to transform from a child into something wondrous. She is cared for in a secluded home by a variety of “monsters.” She is not allowed to have contact with outsiders or to leave the premises but when a human boy climbs the tree on the border of the property things change. The pace and story line are enjoyable to read although there is a tendency at times to add a necessary qualifiers which slow the pace. Shaking his head, he went straight to his seat as well. The story focuses well on Elisabeth encounter with a mysterious boy and the fallout from her innocence. but otherwise the text flows smoothly. The prequel ends with both a resolution of the current crisis and an opening to a larger dilemma. I was intrigued to know what the future holds for Elisabeth. The series promises to be filled with wonder, mystery, and likable unique characters. Good Morning, Snowplow! by Deborah Bruss. Illustrated by Lou Fancher and Steve Johnson. Book Review. Good Morning Snowplow! 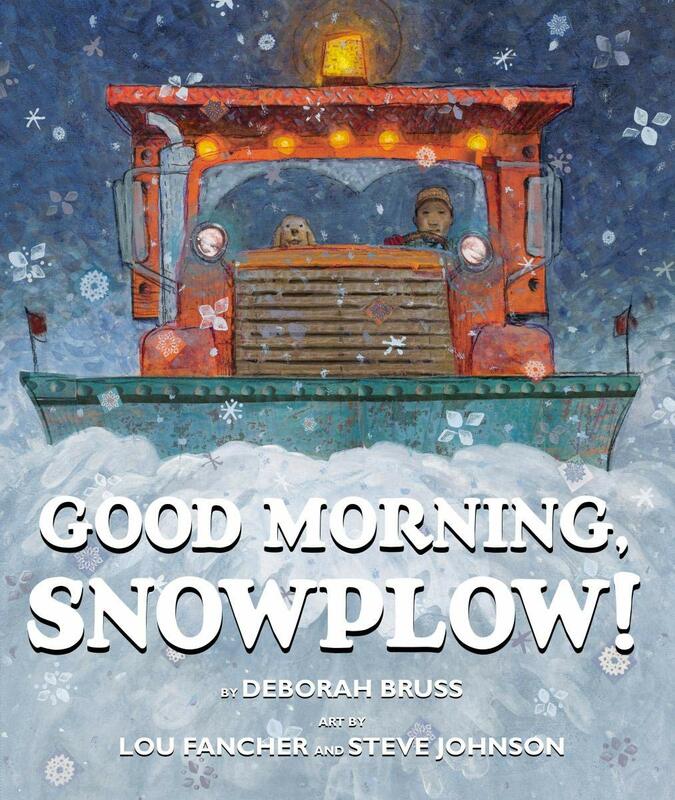 is a gently engaging and reassuring picture book about a snow plow operator clearing the streets at night while everyone else sleeps. It has a poetic rhythm with rhyming couplets and smooth cadence. It begins with a snowplow worker leaving his home. He carries a small lunch box and is accompanied by a doleful looking brown dog. The worker carefully checks his machinery before moving the vehicle and then step by step begins his methodical, important routine. The lines are beautifully poetic as the plow breakthrough obstacles. “Waves of white curl off the blade. As someone who has spent a great deal of time driving after dark through snow, I can connect easily with the text, but anyone who has never experienced a northern winter would feel as though they were sitting in the passenger seat. I especially like that this book draws attention to an overlooked but essential job. Sometimes the snowplow worker is vilified instead of honored for his/her tremendously important work. Children should be taught to appreciate everyone who contributes to the safety and well-being of others. The illustrations are an ideal match to the text. You can almost reach out and catch a snowflake. The muted colors and a dominant blue portray a silent winter evening perfectly. I like that when the snowplow worker exited the truck to see what was happening, he kept his dog on a leash. Small details like that are important in children’s books. One thing that struck me as odd was the necessary use of commas in parts. The words and the pictures worked together to slow the pace and give the other world sensation of a night job. Extra commas just seemed awkward. All in all, this is a wonderful book to add to a child’s library. A different take on that fierce and fascinating season called winter.